In this post I want to address the subject of mantles and anointings. 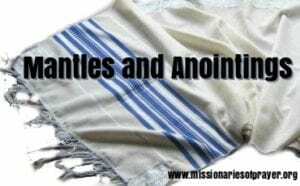 I will do a post on Joseph and Solomon’s anointing but I thought it would be more fitting if we first understand what is a mantle and what is the anointing and are they the same thing. You may agree or disagree with the points I will make but I’m going to back up all of it with scriptural references and I would love to hear your thoughts in the comments. See ( 1 Kings 19:13 1 Kings 19:19 ; 1 Kings 2:8 1 Kings 2:13 ) This is the one worn by Elijah. The next Hebrew word for mantle is me’il, frequently applied to the “robe of the ephod” ( Exodus 28:4 Exodus 28:31 ; Leviticus 8:7 ), which was a splendid under tunic wholly of blue, reaching to below the knees. It was woven without seam, and was put on by being drawn over the head. It was worn not only by priests but by kings ( 1 Samuel 24:4 ), prophets ( 15:27 ), and rich men ( Job 1:20 ; 2:12 ). This was the “little coat” which Samuel’s mother brought to him from year to year to Shiloh ( 1 Samuel 2:19 ), a miniature of the official priestly robe. The main difference I see from one mantle to the other is that one was made out of animal hair (it was hairy) and the other was linen. Do you notice she has her mantle around her? 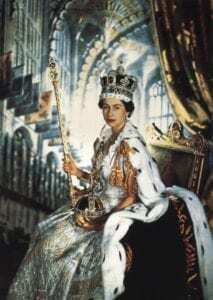 This is what the Sovereign of the UK wears and when she passes that mantle it will go to the next person (we think Prince Charles) and he will begin to wear it. While she doesn’t wear this garment everyday when she is out in public everyone knows she has the mantle of authority. God save the Queen. There are people who have mantles of authority that don’t wear an actual robe. The President or Prime Minister of your country wears a mantle. They have the authority and position. Until the time when the position is handed over to the next person, they are wearing that mantle. What comes with the mantle? While they are the position, they have the protection of the mantle. You can see that with the President, he has secret service and you can’t get near to him because he has protection. He has the power to make decisions that he couldn’t make as a civilian. He has the position which demand respect. He has the authority to make decisions via executive order whether you approve of it or not. This is a part of the mantle. Now let’s look at this in the spiritual using these same principles. Consider that one of the reasons David did not kill King Saul when he had a few occasion to do so was he knew Saul was still the King. Therefore if he attacked him he was coming against the position and authority of his mantle. The mantle requires respect. This doesn’t mean you have to like the person, but you need to respect the authority of the person. David did not say “thank you for moving him out of position so I could take his place”. No, he killed the servant for killing the King. Romans 13:1-7 (NKJV) 13 Let every soul be subject to the governing authorities. For there is no authority except from God, and the authorities that exist are appointed by God. 2 Therefore whoever resists the authority resists the ordinance of God, and those who resist will bring judgment on themselves. 3 For rulers are not a terror to good works, but to evil. Do you want to be unafraid of the authority? Do what is good, and you will have praise from the same. 4 For he is God’s minister to you for good. But if you do evil, be afraid; for he does not bear the sword in vain; for he is God’s minister, an avenger to execute wrath on him who practices evil. 5 Therefore you must be subject, not only because of wrath but also for conscience’ sake. 6 For because of this you also pay taxes, for they are God’s ministers attending continually to this very thing. 7 Render therefore to all their due: taxes to whom taxes are due, customs to whom customs, fear to whom fear, honor to whom honor. So there is absolutely no one in authority that God didn’t put there. Whether you think they deserve to be there or not. Whether you like them or not. Do you notice it says when you resist that person in authority you resist God? Ok then, this should make you realize that when the enemy tempts you with some social media post about someone in authority you need to stop and consider what you are saying because what you are doing is resisting God’s ordinance and bringing judgement against yourself. 1 Timothy 2 (NKJV) 2 Therefore I exhort first of all that supplications, prayers, intercessions, and giving of thanks be made for all men, 2 for kings and all who are in authority, that we may lead a quiet and peaceable life in all godliness and reverence. 3 For this is good and acceptable in the sight of God our Savior, 4 who desires all men to be saved and to come to the knowledge of the truth. Again it is one that has authority. Notice that one of the meanings is related to King Cyrus, who wasn’t saved. This tells us that God also uses people that are not Christians in positions of authority. When the Lord wants to accomplish something He will use whomever He chooses. Saved or unsaved. He will anoint whomever He wants to accomplish a particular purpose. We know that King Saul was wearing the mantle of King. We also know that David was also anointed King before King Saul died. With that said, here’s how you need to consider mantles and anointings. You have an anointing to do something but someone else is wearing the mantle. That’s why you are reading this. You can actually function and operate in an anointing and not have a mantle. Hope that makes sense. I believe there are spiritual laws that govern the use of Mantles and Anointings. 1. When Aaron and Miriam, complained and criticized Moses for his interracial marriage only Miriam was cursed with leprosy. Why is that? I believe that while Miriam was anointed (she was a prophetess) she didn’t have a mantle. There is no “Moses’ sister” mantle. However, Aaron on the other hand was the Chief Priest. God did not curse the mantle/office of Chief Priest. Aaron was punished later by not being allowed to enter into the promise land (Numbers 20:22-29). His mantle was transferred to Eleazar and he died after that. 2. The same principle was at work when Moses struck the rock twice instead of speaking to it (Numbers 20:7-12). God still honored what he did even though he was walking in disobedience. Why is that? I think for the same reason, his mantle. He has to pass the mantle to Joshua before God will publicly deal with him. 3. In 1 Samuel 15 we see that the Lord took King Saul’s anointing and gave it to David in 1 Samuel 16. So the entire time until David became King, Saul was acting under the mantle with no anointing. Now, if someone who is anointed by God with no mantle holds a conference and doesn’t obey and follow the leading of the Holy Spirit, what do you think is going to happen? The Holy Spirit will be gone and the conference will fall flat on its face. Because they don’t have a mantle. However a pastor can have church for years, with a growing congregation and zero anointing. They are operating under the authority of the mantle and not the anointing. So, the take away is this, when you have an anointing it can come and go. With the mantle it is in position of authority and you can operate with no anointing. We should have both. And we should obey God’s spiritual laws that are in place by not cursing the person wearing the mantle or we will call judgement upon ourselves as we read before in Romans 13:1-7. I believe every single one of us was born to wear some level of anointing and mantle. All of us. God is no respecter of persons so we all have a purpose and a position in life. Even the unsaved, as we see with King Cyrus. What we do from the anointing to the mantle is important. You need to respect the people in authority who have the mantle. Mantles and Anointings have a progression. They have different levels. I’ve been using the word Mantle as an ultimate position so far but I want you to think about it as something that is progressive so that you will be able to determine where you are in your own process. In a practical sense, if you are in arts and entertainment field you can have the mantle to be an actor that then changes to a directors mantle that then changes to a producer mantle when you own the movie studio. All of these roles had authority but it progressed higher and higher. So, you will change from mantle to mantle until you get to the final position. It’s a progression. Each of these levels have authority at that level. You have a process that you have to go through. If God were to give you the final mantle now you would probably fail because there are many things you need to learn before you can take on that position. Many things. This is why you need to sit under the people who have the mantle and learn from them. Serve them so that you know what to do, or not do, when your time comes. So, if you are looking to be an actor you sit under and actor. You don’t sit under the producer because that is not where you are now. You progress into that role but you are moving up different levels. I think one of the greatest misconception is that we keep hearing from “the prison to the palace” and people assume that overnight they go from one position to the other. This is not the full story. The prison to the palace was the final step. There was a lot of learning, training, serving and suffering that went on prior to that. You can’t short change the process. You just can’t. Now GOD can do anything He wants and make you skip steps and accelerate you through a process but you still need to start somewhere and with faithfulness, He will move you. David served under Saul. Elisha served under Elijah. Samuel served under Eli. Once you know what your mantle is, ask God to show you where you need to serve and serve. Don’t worry about meeting that person right away. Find them online, follow their teachings, go to their church or conferences. Serve them online. Position yourself. Don’t manipulate the situation just position yourself. As sure as there is a God in heaven if that mantle is on your life, one day you will meet that person. Because remember now, the mantle is from God. The anointing is from God. So God is going to arrange the meeting. You just need to position yourself. Same rule applies with marketplace ministry. Billy Graham stopped doing his crusades over a decade before he actually passed away, do you think his mantle remained with him until he died? Hmmm Hmmm This is not a thus sayeth the Lord it’s just me sharing my thoughts. There is a possibility that mantle got passed long before he went home to be with the Lord. How will I know what mantle I have? You don’t get to choose your mantle. God is the one who decides which mantle you get. The best thing for you to do is ask God to reveal to you what your mantle is. That’s it. There are many people asking for mantles they are just not anointed to wear. No coveting of mantles! It is best to wear the one that is God assigned, anointed and appointed. Because you will flourish in this place. I like shopping in Big Lots and there is this one cashier that really doesn’t like working. She just doesn’t. She’s happy when the store is empty so she doesn’t have to work. I’ve been shopping in this particular store for about 2 years. One day as I am walking in she goes “Oh brother! I guess I’m going to have to work now”, I asked her what she was talking about so she proceeded to tell me that the store had not been busy all morning and she was enjoying the peace and quite. However, now that I walked into the store she was sure things were about to change. I had no idea what she was talking about. Well, this is a very big store and as I am going aisle to aisle shopping I noticed there was really not a lot of people there…maybe 5 people. Sure enough when I got to the cashier to check out and she’s ringing me up, she goes “see” and points behind me. I turn around and there is like 10 people behind me. She has to call for the backup cashier. Then the next time I go in I paid attention and it happened again. Then I started paying attention when I go anywhere and it always happens. The guys in the meat department at my supermarket don’t like me, LOL. One of them always says to me when I approach “don’t you start with me now” I know what he means because there is a line of people the minute he starts serving me. Now, I am not making this happen. It is in the spirit and it is an anointing. I did not ask for it. I didn’t even know it was there until it was pointed out to me. So what was that? The manifestation of a leadership anointing. You can have several anointings to support your mantle. So start paying attention because there is something on you as well which you may not even realize is there. There is a lady that I know and the first time I heard her signing the Lord gave me a prophetic word for her. He showed me that she had a mantle for worship. Not just any kind of worship but a deliverance mantle for worship. I’ve only seen 1 Christian artist with this mantle. Only one. You know, there are many singers in our churches but not many anointed singers. There is a difference. You can have an amazing voice and not be anointed for worship. Then you’ll find someone else with an OK voice and this is the one with the anointing. Here’s what the deliverance worship mantle does. These singers have notes/keys that they sing that unlock prison gates in the heavenlies. I went to a concert once with many different Christian artists. This one artist came on stage singing a note. Not a song, a note. The note was anointed with deliverance. As each artist comes out to sing we all stood and applauded them. However because this artist entered the stage singing the note, we couldn’t get out of our seats. When I say we couldn’t get out of our seats, I mean that I tried to stand up and I couldn’t because I literally felt a force pinning me into the seat. No one could stand up. Then people started falling out of their seats unto the floor and demons proceeded to scream and come out of them. This was a theater that holds about 15, 000 people. Now imagine this scene everyone is pinned in their seat and the few that could get up were screaming on the floor until the demon got out of them. Others were wiggling in their seats getting delivered from demons. It was a mass deliverance from a single note. I know, it sounds crazy but I witnessed it with my own eyes. I’ve never seen anything like it before and never since. This is not just a singer, it is deliverance minister using song. A mantle for deliverance worship. People were delivered from so many demons that night. He didn’t lay hands on anyone, he didn’t tell one demon to leave, he just sang a note. I saw it happen. After the demons left the room, I felt the force that was holding us in our seats lift and we were able to stand up. Acts 16: 16-26 “25 But at midnight Paul and Silas were praying and singing hymns to God, and the prisoners were listening to them. 26 Suddenly there was a great earthquake, so that the foundations of the prison were shaken; and immediately all the doors were opened and everyone’s chains were loosed. What if it wasn’t just a song, but notes and keys that were sung that went up into the heavens like a spiritual key that unlock gates and doors to released them on earth? Remember David and King Saul? David would play his instrument and the demons that were afflicting Saul would leave!!! There are notes and tones specifically for deliverance. When people preach about new sounds from heaven, think about this. Anyway, back to the story of this lady…the first time I heard her sing I got a flashback to this concert and what happened there. Now, I’ve heard many people sing since the concert and God never reminded me of this event so I knew that God was showing me, she is going to have this anointing. He was giving her that mantle. So I started to prophesy over her and I told her the story of what happened at that concert. This was the first time I was talking to her so I didn’t know anything about her. Then I told her that she has the mantle. Now, I can tell you that she doesn’t have the greatest voice and sh e is well aware of that. She doesn’t even want to sing in public. But for some reason when she goes anywhere they always ask her to sing. Even if there are other singers around with better voices she is always asked to sing. She keeps trying to push it away but it keeps coming back. Because it’s her mantle. 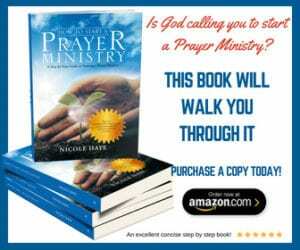 I admonished her to stop pushing it away and start embracing what God has anointed her to do. As I am prophesying to her I get this vision of Tom Hanks in the movie BIG. Do you know that movie? This is where he was a little boy who made a wish that he would be a grown up and he got his wish. At the end of the movie he goes back to being a little boy but he as still wearing his grown up clothes. Here’s the picture to the left. I see this in a vision and I knew God was showing me what she looked like in her mantle now. She hasn’t grown into it yet. She still needs to go through her process. She still needs to learn, train, serve , position herself so that when the time comes she can step into the role. She will be fully grown when the time is right. 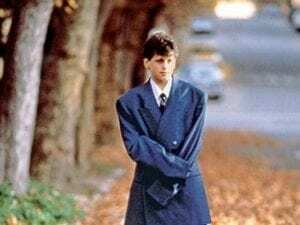 1 Samuel 2:19 says that every year while Samuel was a little boy and under Eli’s training his mother would bring him a “little coat”. I would imagine that every year he grew bigger and bigger until he was big enough to fit into Eli’s mantle, right? We grow into it. David didn’t become King immediately after being anointed by Samuel to be King because he wasn’t ready. He needed to grow into it. Yahweh Elohim, you knew me from my mother’s womb, you formed and fashioned me with purpose. I pray now God that you would show me the anointing and mantle that you have placed upon my life. Show me how to walk in it. Show me where to go so I can learn how to serve. Position me so that I will be in place when it is time. Grant me grace to go through my process. Give me a heart of patience so that I may wait for your perfect timing. Give me eyes to see the progression of my mantle and anointings. Guide me by your Holy Spirit on how to steward the anointing in a way that will please you. Let me never take credit or glory for what you have given me. Help me to be a light to this world with this anointing and lead people to You, in Jesus mighty name, Amen. Blessings and I love you! Thanks for the teaching, I also see a teaching anointing. You were able to explain a spiritual insight by using some common and natural occurrences to help even a person not well versed in spiritual understanding, comprehend or understand. Thank you When I pray the atomsphere changed and it feels like I step back into the sanctuary after,(trying the best I can to explain).It’s this feeling like I left and came back in.And people feel a shift or they say,God has called you to be a warrior or intercessor.And when I pray,I know God hears me,but it’s like when I pray for myself the prayers aren’t answered as fast. It’s just a sign Tony. I’m ahead and there is a line of people behind me that I don’t know. They are following me. They don’t know it but in the realm of the spirit it’s happening. If they are following me, then I’m the leader. Thank you for explaining it the way you did. I so resonate with what you saying. I always tell my daughter’s that the shops should start paying me commission because I always seem to bring them clients :). I’m also not the best singer, but the enemy has been targetting my voice for as long as I can remember and I always had my suspicion why. It’s now becoming clear to me. Will you please lift me up to the Lord in your prayers, I will really appreciate it. I also pray that God blesses you profusely for you are a total blessing to us, your followers. Love it. Learned so much fbethrom this message. Thanks! I enjoyed this teaching! I love how easy it is to follow your writings! Thank you and God bless you and your Mantle and anointing!!! Good job!! !